For many years, each week, Manny and his son Tony have supplied Lula Isandla with 5 pockets of cabbages and 5 pockets of carrots, fresh off their farms, a truly huge donation. Bonginkosi kindly accompanied me early one morning on my trip out to the Dargle to collect the farm fresh vegetables. On our behalf he handed over presents to Manny as acknowledgement of their enormous contribution. The kind people of Striata - www.Striata.com - colected the clothes that they no longer needed. It took one bakkie load to transport it to Lula Isandla. 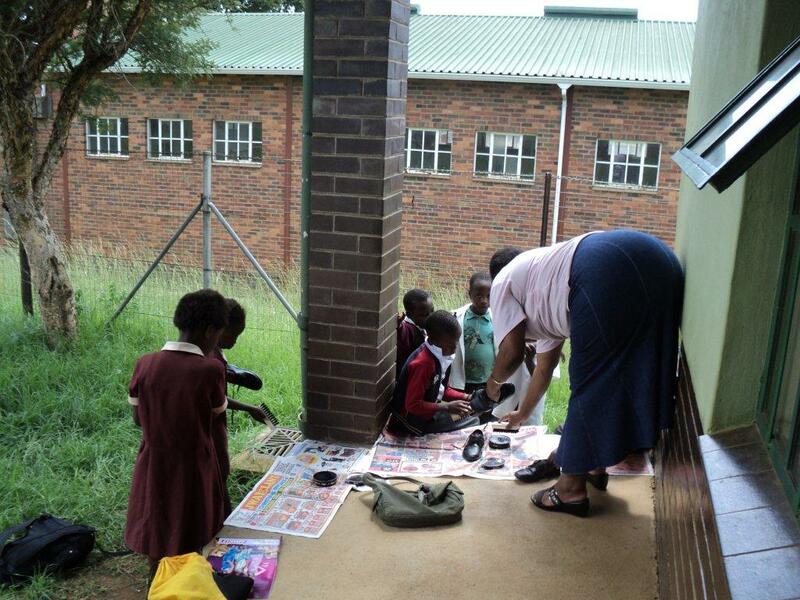 As described in our October Newsletter, Mandy (Makgoti #1) travelled down to Mphophomeni to conduct a craft workshop. Fairfield dairy donated a whole lot of yoghurt. Each child got 1 litre and some fruit. You get a feel of what you are contributing to. Getting to the community centre is pretty spectacular. Mphophomeni is in the KwaZulu-Natal Midlands; it also forms part of the Midlands Meander.